Looking at these trees you wouldn't say it's spring, would you? Well, it officially is, and the weather over the last few days seems to be confirming that - warm, with mostly blue skies, and most telling of all, wind. Spring is our windiest season here in Cape Town, although on most days the wind only comes up in the afternoon and subsides by about 5pm. I'm not too keen on wind myself, but I can live with it because it means... yes... you guessed it... summer is around the corner! 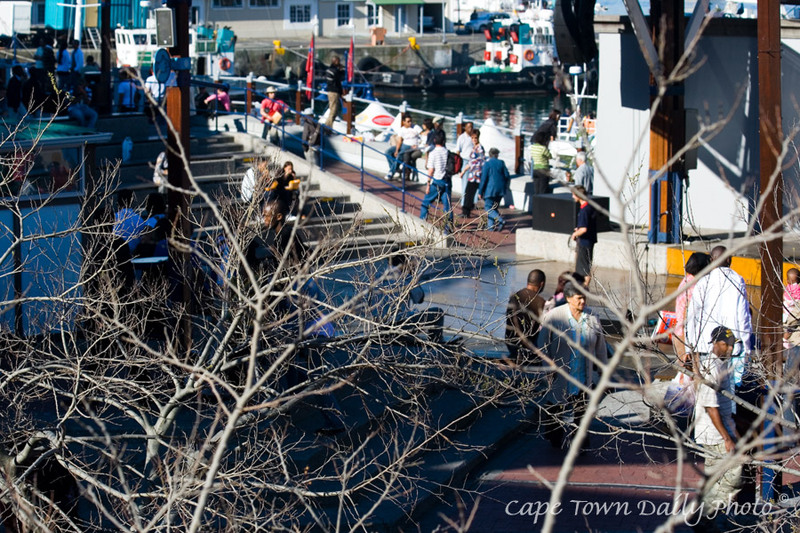 This shot was taken at the V&A Waterfront, above the amphitheatre. Free concerts are often held here, drawing plenty of tourists and locals alike. Posted in General on Friday, 21 September, 2007 by Kerry-Anne.